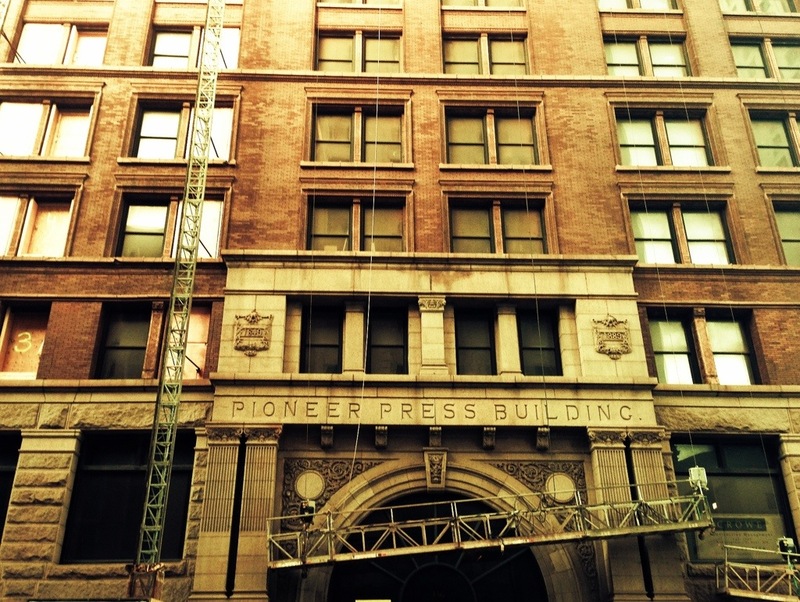 The Endicott and Pioneer Press Building was built by Cass Gilbert in 1889. So it’s no wonder she needs a little work. I always love seeing restoration being done on these old beauties. This is day 94 of Photo 365. This entry was posted in Photography and tagged Endicott Building, Photo 365, Pioneer Press, Saint Paul. Bookmark the permalink.